We often fail to think of the body and its individual components until something hurts or becomes uncomfortable. There are 206 bones, at least 640 muscles, and at least 87 organs in our bodies. Each of these components is broken down even more and there are more classifications and ways to categorize the systems that make up the body. There are five sense organs and one of those are the eyes. They often go neglected until they become a problem. We only have two eyes, but there are many things that can go wrong with them. Most of the time our bodies keep our eyes moist and comfortable, but sometimes this function fails and we have dry eyes. There are several ways to treat dry eyes so if a one treatment doesn’t work another treatment might be more effective. When we start to notice that our eyes our dry it might be helpful to see your local eye doctor. It is possible to treat your dry eyes with over the counter eye drops, but sometimes these things fall flat. When they do it becomes necessary to figure out if an underlying disease is the cause. 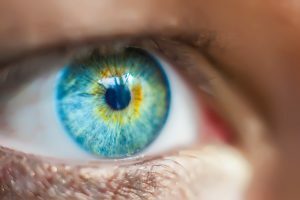 Sjörgens Syndrome and Meibomian Gland Dysfunction are two examples of medical problems that can cause dry eyes. When people receive one these diagnoses it is more beneficial to treat the disease. When treated, dry eyes may not be an issue anymore. If the cause of dry eyes is not due to disease and other treatment options have been exhausted it might be helpful to talk about getting a prescription medication called Restasis. Restasis, which is also known as Cyclosporine Ophthalmic Emulsion, is the ONLY prescription strength FDA approved eye drop available for dry eyes. Restasis works by increasing tear production that may be caused by inflammation. It will not increase tear production if people use anti – inflammatory eye drops. Other medications may interact with this medication so it is important to talk with your doctor if you are interested in obtaining a prescription for this medication. Restasis may take anywhere from three to six months to start working so it important not to get discouraged if it doesn’t work right away. The use of a device might be another option that your doctor recommends. Your eye doctor can also insert silicone gel plugs (which are also known as punctal plugs) into your tear ducts. If they don’t work or other issues come up they can always be removed. If the case is severe permanent plugs may be possible. Either way, it important to discuss the options with your doctor. If all other options do need lead to solution surgery might be an offered as a last resort. Punctual cautery is a surgical procedure that may be recommend in the event that nothing else has worked. During a procedure, the tear ducts are cauterized and eventually they close. The surgery can be performed in office and under local sedation. Most of the time the surgery does not cause significant pain. Minor bleeding is to be expected, but normally it isn’t severe. If bleeding becomes severe call your doctor’s office and let them know about this. It might also be helpful to talk to other patients who have undergone surgery.